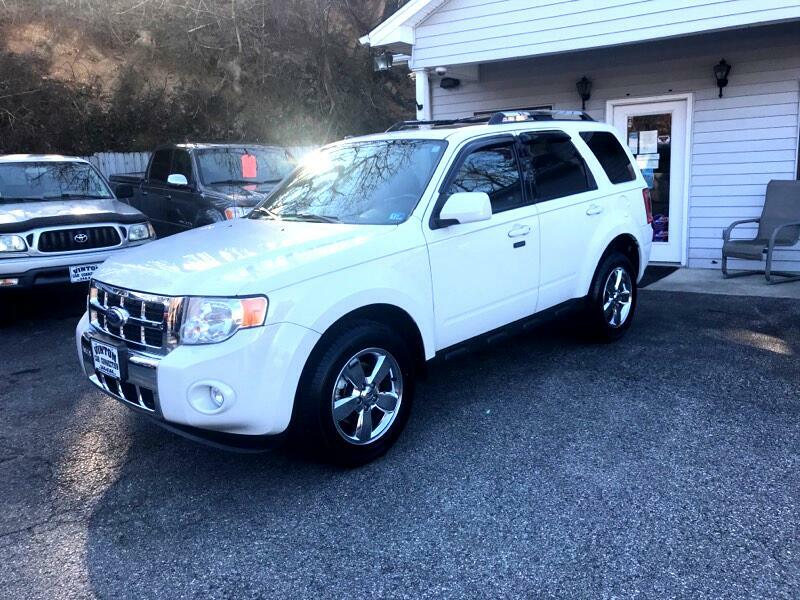 Vinton Car Connection is offering this carfax certified 2011 Ford Escape. Carfax says 2 local owners,no accidents and no mileage problems. The Ford Escape holds onto the styling and mechanics gained through the compact sport utility's redesign. This Escape is powered by an optional six-cylinder 3-liter power plant providing a potent 230 horsepower.THis Escape consists of the limited trim . Standard features in all 2011 Ford Escapes list a multi-use center console, Ford MyKey, audio input jack and Easy Fuel Capless Fuel Filler. Features new to the Ford Escape for 2011 includes Active Park Assist, rear view camera and HD Radio.We have been in business over 40 years and 30 at the same location and rely on repeat customers for most of our business.We can also do your DMV work on-site with no processing fees.We truly need and appreciate your business.